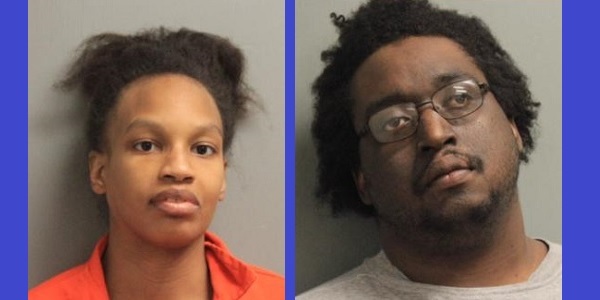 An Alexandria couple has been arrested after emergency services found a newborn baby in their trash. Early Wednesday morning, emergency services were called to the apartment of Carl Hall and Thelma Kirkland after a call about a miscarriage. The medical team began treating Kirkland for the reported miscarriage when they found a newborn baby in the trash can. The baby was still alive, and both him and his mother were taken into the hospital for medical assistance. Following an APD investigation, it was discovered that the couple waited an hour after the birth of the baby before calling emergency services. During that time, the couple placed the baby in a trash can, and then called for help for the mother. The investigation led to the arrest of both parents who have been accused of an attempted first-degree murder. The baby is currently on life support, and investigation for the matter is ongoing. If found guilty, the couple can face serious charges and even more serious time in prison. The arrest records and criminal records of Carl Hall and Thelma Kirkland will likely become a matter of public record that will allow people learn about their supposed deeds. Running background checks such as these is helping many people these days that wish to know more about others, and discover whether they committed any crimes in their past. What are the Causes of Panic Attacks and How to Cope When a Panic Attack Happens. We Explain how Panic Attacks work! Bankruptcy Laws in New Mexico: Find out what are the New Mexico bankruptcy laws and what to do in case of bankruptcy. Learn more about the Indiana judicial system. Find out how the judicial system in Indiana operates! Bankruptcy Laws in Idaho: Find out what are the Idaho bankruptcy laws and what to do in case of bankruptcy. Learn more about the Wisconsin judicial system. Find out how the judicial system in Wisconsin operates! Morgan Freeman Allegations: What Really Happened?